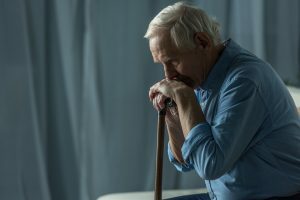 Approximately 2 million cases of elder abuse are reported every year in the United States, and many involve nursing homes or assisted-care facilities. The Oklahoma nursing home abuse lawyers at Carr & Carr Attorneys at Law have extensive experience in neglect and abuse cases, and we’re dedicated to protecting the rights of our vulnerable elderly population. If you believe a loved one is a victim of nursing home abuse or neglect in Oklahoma, it’s important to take action as soon as possible. Call our nursing home abuse attorneys today at 888-238-4282 or contact us online for your free consultation. Elder abuse is increasing as the population ages. About 15 percent of Oklahoma residents are age 65 or older. When it comes to elder care, neglect and abuse are differentiated by intent. 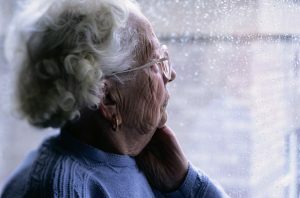 Neglect is the failure of a caregiver to provide a patient’s basic needs, including water, food and medical treatment. Abuse occurs when a caregiver deliberately harms a patient. Nursing homes and other assisted-living facilities are obligated to provide their residents with necessary medical care based on individual needs, as well as adequate supervision. Yet neglect and abuse still occur at alarming rates—and both neglect and abuse can cause potentially deadly injuries to elderly patients, many of whom already require treatment for existing health problems. Apprehension of caregivers may be a sign of physical or psychological abuse. 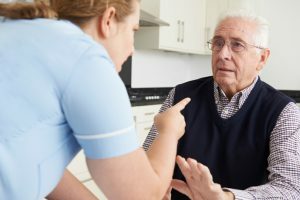 Signs and symptoms of nursing home abuse vary depending on the form of abuse and the individual, although there is some overlap among the indicators. Confusion about financial transactions may be an indicator of financial exploitation. Oklahoma’s aging population is on the rise. About 15 percent of Oklahoma’s population is age 65 and older. This has resulted in tough competition among elder care facilities. Unfortunately, this has also led to a decline in care. Nearly 20 percent of elder abuse cases in Oklahoma involve caretaker neglect. According to Oklahoma’s Department of Human Services, there were 4,502 reports of nursing home maltreatment in 2015; more than one-quarter of those claims were substantiated by formal investigation. However, abuse often goes unreported because many elderly individuals are unable or unwilling to report problems. Elderly adults often have conditions that increase their risk for abuse or neglect. Chronic health conditions, mobility limitations and mental impairment significantly increase the likelihood of incident. 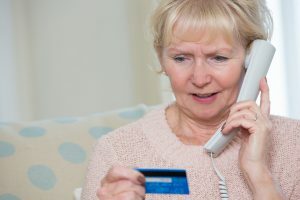 If you have a loved one in a nursing home or other assisted-care facility, it’s important to be vigilant for signs of neglect and abuse, and to maintain a communicative relationship with caretakers. If you suspect a loved one has been neglected or abused in a care center, contact the Oklahoma State Department of Health or call the agency toll-free at 800-522-0203. The next call you make should be to a knowledgeable nursing home abuse lawyer. The nursing home abuse attorneys at Carr & Carr can protect the rights of you and your loved one, and help ensure the abuse does not continue. Call us today at 888-238-4282 for your no-obligation consultation. In the event that a loved one died as a result of abuse, eligible survivors may be able to pursue compensation through a wrongful death claim. If your loved one is suffering neglect or abuse in a nursing home, other residents likely are as well. 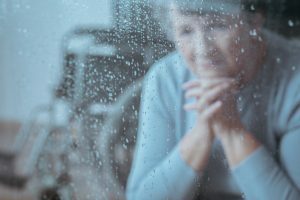 It’s important to note that nursing home neglect and abuse are rarely limited to a single individual; if your family is suffering from neglect or abuse, other residents likely are as well. By taking action, you may not only be saving your loved one from further abuse, but others as well. The attorneys at Carr & Carr take nursing home abuse cases very seriously, and we work tirelessly to ensure justice is served for victims. Consultations are confidential and free, and we don’t get paid unless we recover compensation on your behalf. If you suspect a loved one is being neglected or abused in a nursing home or by a caregiver, call 888-238-4282 or contact us online today. We welcome clients from the greater Oklahoma City and Tulsa areas, and throughout Oklahoma. We also serve clients in northwest Arkansas through our Springdale office.